Item001 - A.C. Gregory - explorations in Northern Districts No. I, 1848. Item002 - A.C. Gregory - explorations in Northern Districts No. II, 1848. 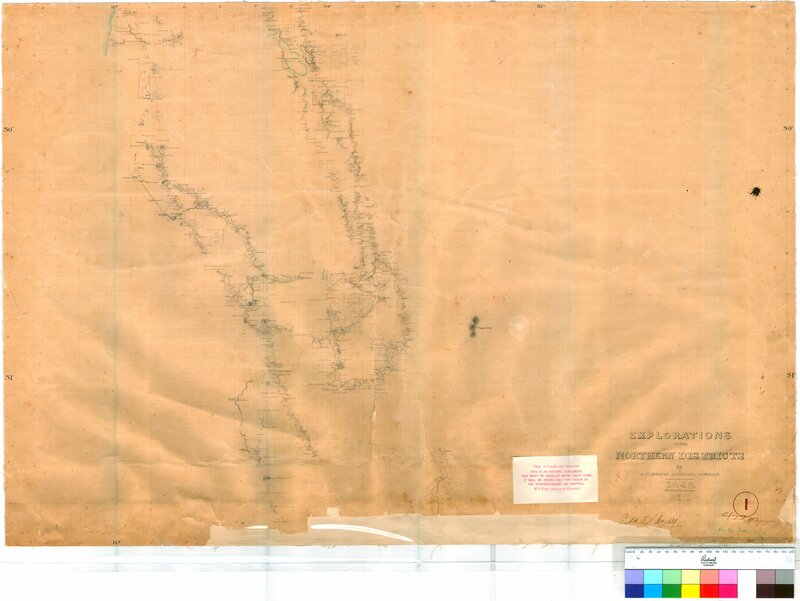 Item002 - Canning Stock Route - plan of original survey by A.W. Canning between Murguga Native Well and north of Kudurra Native Well, c. 1906 [Tally No. 006900]. Item004 - Canning Stock Route - plan of original survey by A.W. Canning near Separation Well, c. 1906 [Tally No. 006898]. Item 001 - A.C. Gregory - explorations in Northern Districts No. I, 1848. Confirm Item Request: A.C. Gregory - explorations in Northern Districts No. I, 1848.